Broncos players were mostly quiet on social media, but nobody else was. The Broncos’ hiring of Vic Fangio as the new head coach - and announcing the return of Gary Kubiak as offensive coordinator - earned the equivalent of a big thumbs up from players, coaches, sportswriters and fans. Bears’ cornerback Prince Amukamara tweeted “#cursewords” when it was first announced that his defensive coordinator who helped the Bears’ defense in a meteoric rise from last to first would be heading to Denver. Von Miller and Bradley Chubb will be excited to play for Fangio. His #Bears D led the NFC with 50 sacks last season. #Broncos had 44. The Bears 27 picks was most in #NFL, 6 more than next closest defense. DEN had 17. Damn...Fangio is a BIG loss. Wow! Often risky for a DC to take a job with a shaky QB situation, but Von Miller and Bradley Chubb in the hands of Vic Fangio could provide greater margin-for-error on the other side of the ball. But all the love wasn’t just about Fangio and his incredible defensive mind. 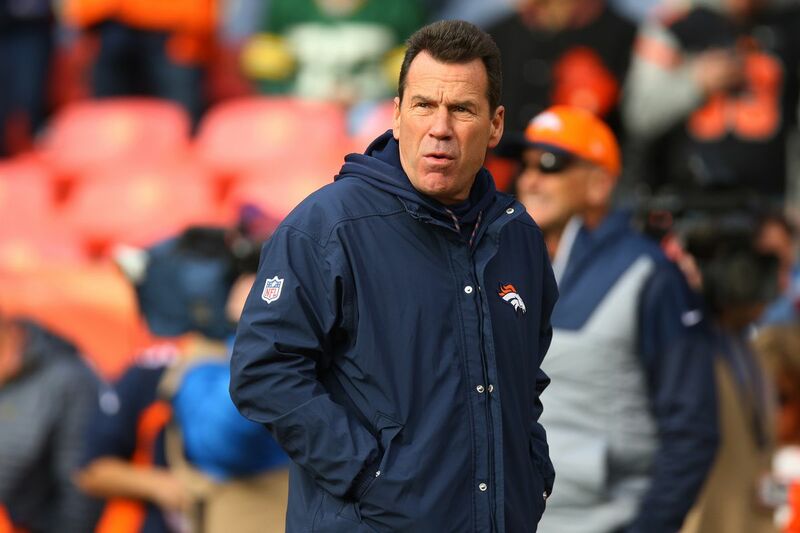 Bringing back Gary Kubiak - Super Bowl 50-winning Gary Kubiak, that is - was seen across the league as a wise move for both Fangio and the Broncos. Gary Kubiak and Vic Fangio are probably co head coaches in Denver. That’s gonna be a great situation for the Broncos, IMO. Former Broncos quarterback Jake Plummer, who played for Kubiak during his tenure, even weighed in. He sees the move to bring Kubiak back to the coaching side as a brilliant maneuver - especially for Case Keenum. But it wasn’t only reporters, fans and former players sharing their feelings about the new coaching hires. While most Broncos players refrained from commenting on social media, a few posted their excitement, and Will Parks and Shelby Harris even spoke about it to CBS4Denver. Harris said he “likes it a lot” bringing in Fangio. Saw @PhillyWill11 at Broncos HQ and asked him what he knows about his new head coach, Vic Fangio: “I know he’s No. 1. ... And to have Kubes back, that’s exciting. Emmanuel Sanders, one of the few guys on the offense to have been on the Super Bowl 50 team under Kubiak, seemed ecstatic about having Kubes back on the field at Dove Valley. There is a lot to Bears defensive coordinator Vic Fangio. That was clear during an interview with the Sun-Times late last summer. Jack Henzes, Vic Fangio’s high school coach in the mid-70s and boss in the mid-80s, talks about his protoge going to the Broncos. With Vic Fangio being hired as the next head coach of the Denver Broncos, can the Bears’ defense overcome his departure in 2019? Denver tried the young coordinators and it didn’t work. Fangio has never been a head coach, but he brings a long list of credentials. Denver Broncos GM John Elway bucked the league trend of hiring a hot, young coordinator by selecting a hot, mature coordinator. Lindsay will be honored at a banquet April 3. John Elway and Gary Kubiak took a trip out to Columbia, MO earlier this year to watch Drew Lock live. They must have liked what they saw in Lock’s rousing 38-0 beat-down of conference rival Arkansas. The Buccaneers have hired former Broncos offensive line coach Sean Kugler. Denver Broncos: Should the team re-sign tackle Jared Veldheer? The Denver Broncos acquired Jared Veldheer via trade from the Arizona Cardinals this past offseason. He'll be a free agent this offseason. Adam Gase has found a new head coaching gig in the AFC East. The New York Jets are hiring the former Miami Dolphins skipper as their next head coach, NFL Network Insider Ian Rapoport reported. From bringing in inspirational guest speakers to dancing to the song that bears his name, Saints head coach Sean Payton knows how to find unique ways to motivate his players. New Tampa Bay Buccaneers head coach Bruce Arians praised Jameis Winston in a recent interview on "The Rich Eisen Show." Arians said "the whole thing will be built around" the QB. On the eve of the regular season, Adam Schein predicted an all-Los Angeles Super Bowl. Four months later, he's singing the same tune -- but LOUDER. Here's why the Chargers and Rams will indeed meet in Atlanta. Which side of the ball will improve more next season with the Fangio/Kubiak hire? Potential Chris Harris Jr. trade partners for the Broncos These are the teams that make the most sense. Report: Chris Harris Jr. has requested the Broncos to give him a new contract or trade him Oh boy. Denver Broncos star cornerback Chris Harris Jr. wants a new contract or he wants to be traded. Your move, John Elway. Broncos Wednesday Mock Draft - The Nightmare Welcome to my hell. This Article has a component height of 74. The sidebar size is long.